Hi there! 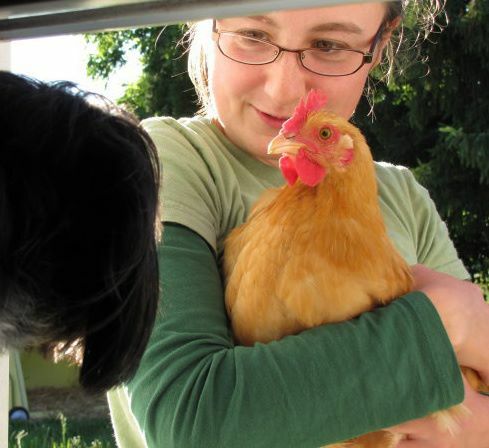 I’m Allyson, the owner and farmer of Full Heart Farm. Full Heart Farm is a small family farm in southeastern CT that encourages a return to the family table through meal-based farming. Our diversified farm grows a variety of vegetables, fruits, herbs, eggs, and meat, marketed through Full Plate MemberShare Program. The MemberShare Program is a form of Community Supported Agriculture (CSA). Members purchase a share of the farm’s products at the beginning of the season and each week receive a small box farm-grown food designed to make 1-2 meals. Full Heart Farm is still in it’s infancy. I purchased the 6.25 acre property on April 30, 2012 through the USDA’s Beginning Farmer and Rancher Loan Program. Owning my own farm has been by goal for several years. 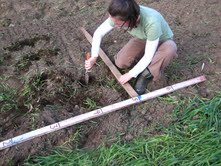 I studied Agriculture Education at UMass Amherst while working and apprenticing at a variety of different farms. After college I went on to work as a farm manager, giving me the experience I needed to be eligible for the loan program, as well as the knowledge I will need to run my own farm. With only one week of farm ownership under my belt, this is shaping up to be a busy growing season! I currently have 4 piglets, 60 laying hens, 50 meat chickens, and a 1/4 acre garden plowed and prepared for the season, with plans to grow as we move further into the season. I serendipitously found this tiny plot of prime agricultural land near my family, but it hasn’t been farmed in decades. There are a large number of improvements needed to be made on the house and outbuildings, as well as the land. I have a long list of goals for the upcoming season, but I’m most looking forward to settling down, learning more about this beautiful piece of land, and getting involved in the local community. Actually, I’m most looking forward to homegrown bacon and fresh eggs for breakfast, but I’ll have to wait a few more months for that dream to come true! Follow along this season on my biggest adventure yet!